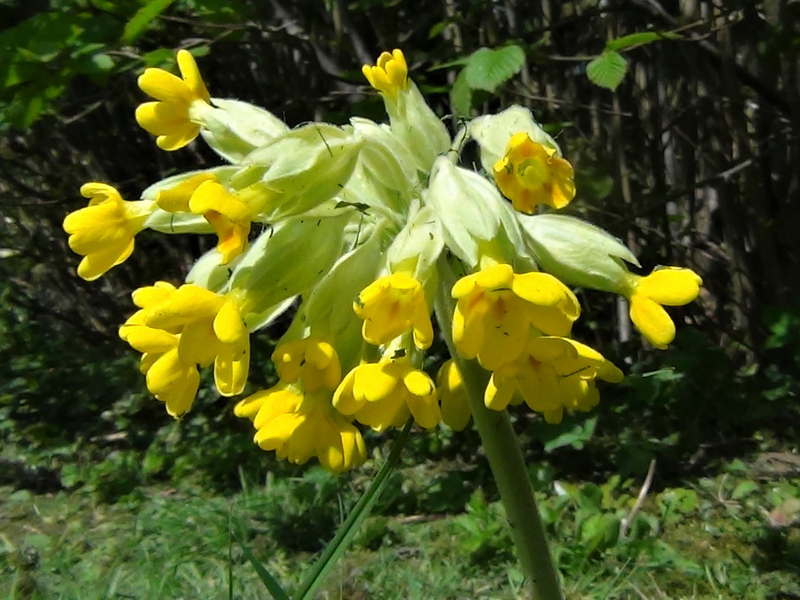 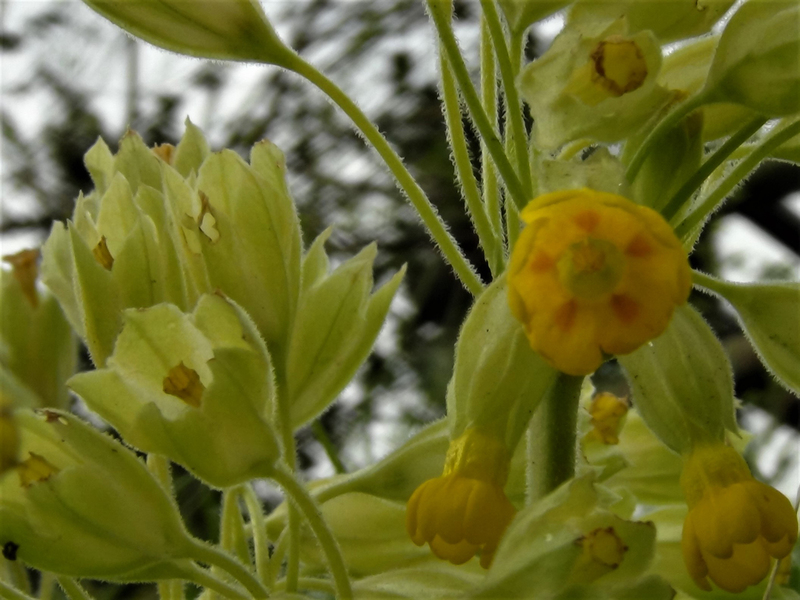 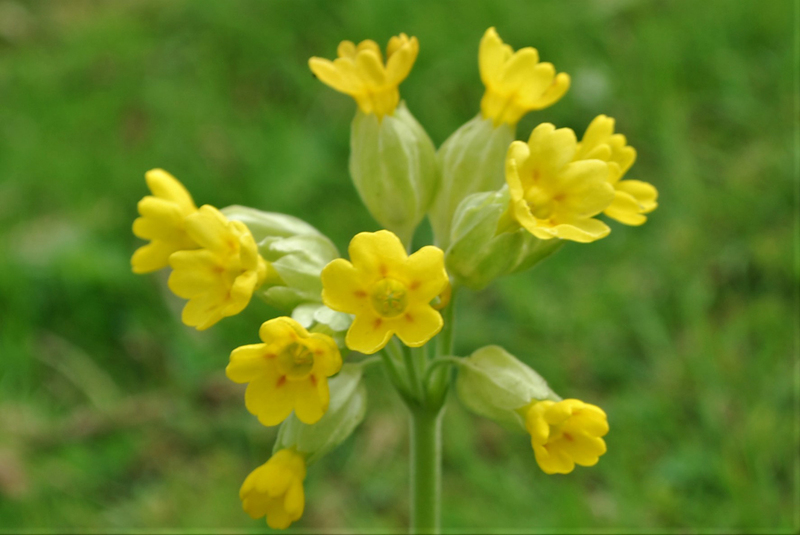 The slightly citrus flavoured cowslip flowers. 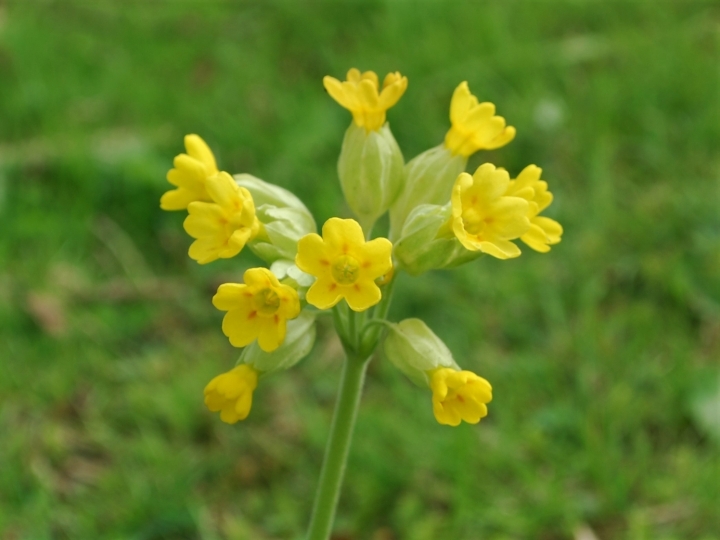 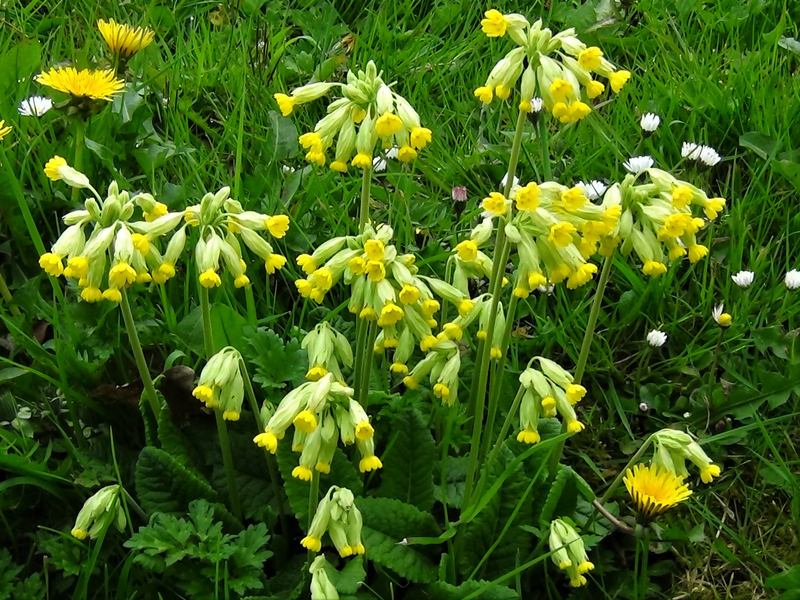 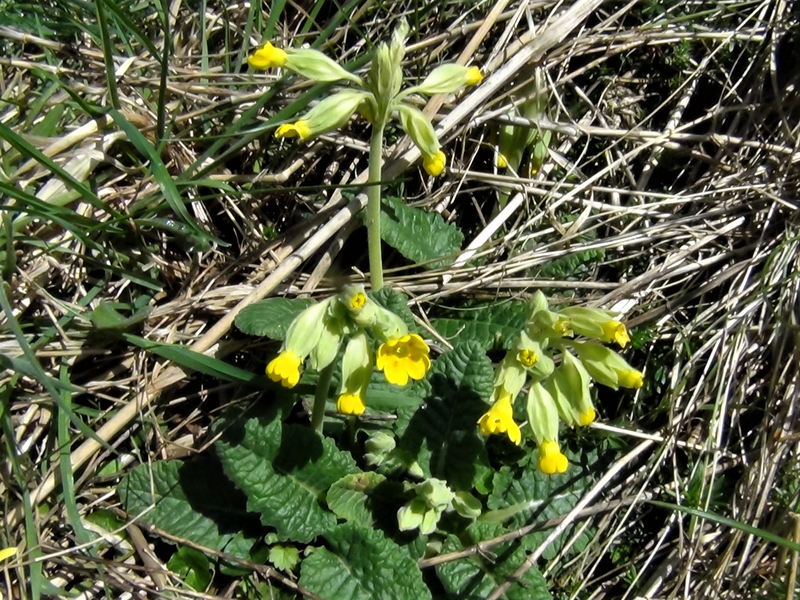 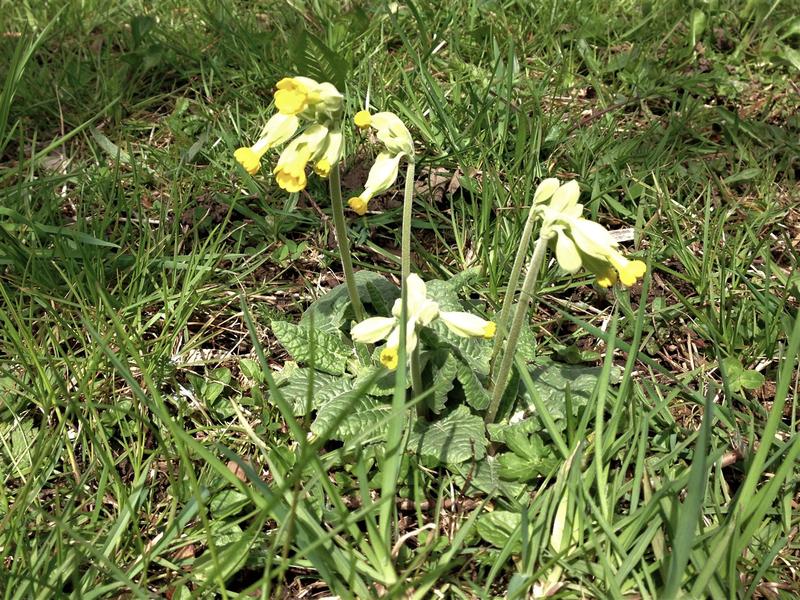 Cowslips are now a common sight growing in large numbers in grassland. 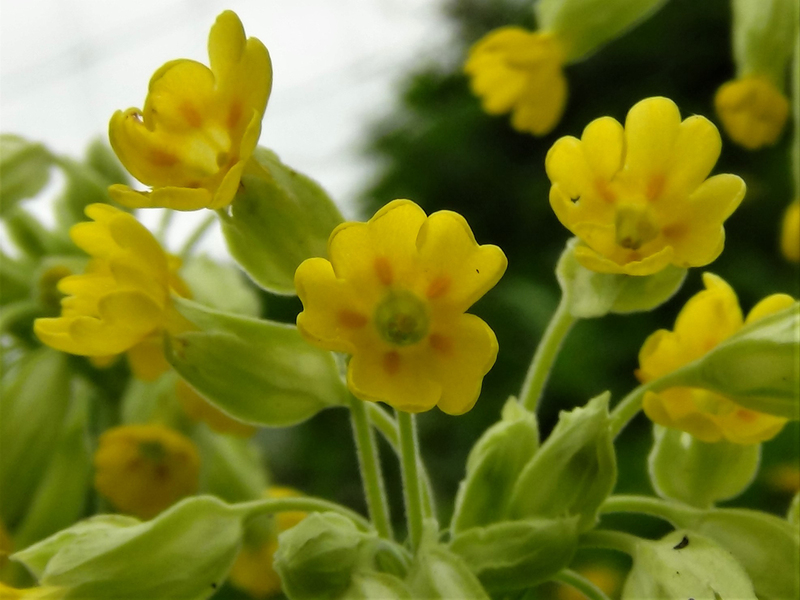 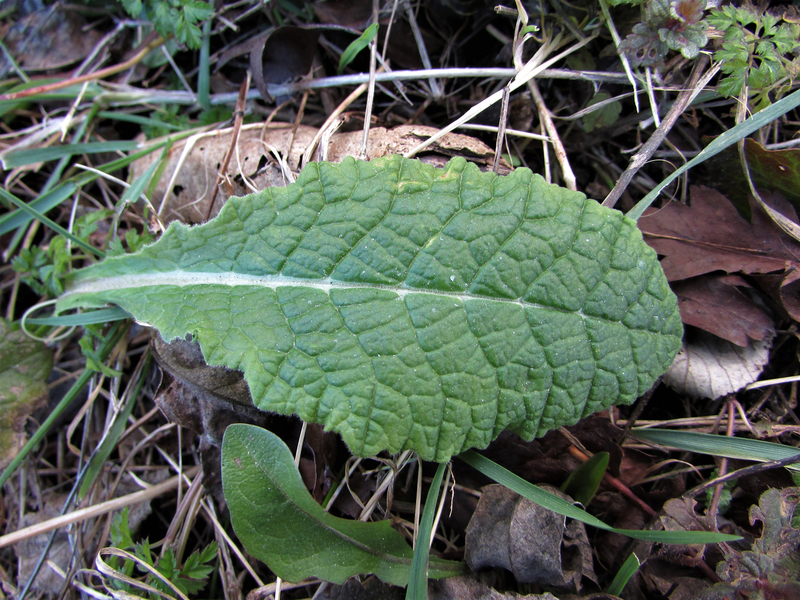 The leaves are Dark green, oblong and crinkly and without the flower very hard to distinguish from other primulas. 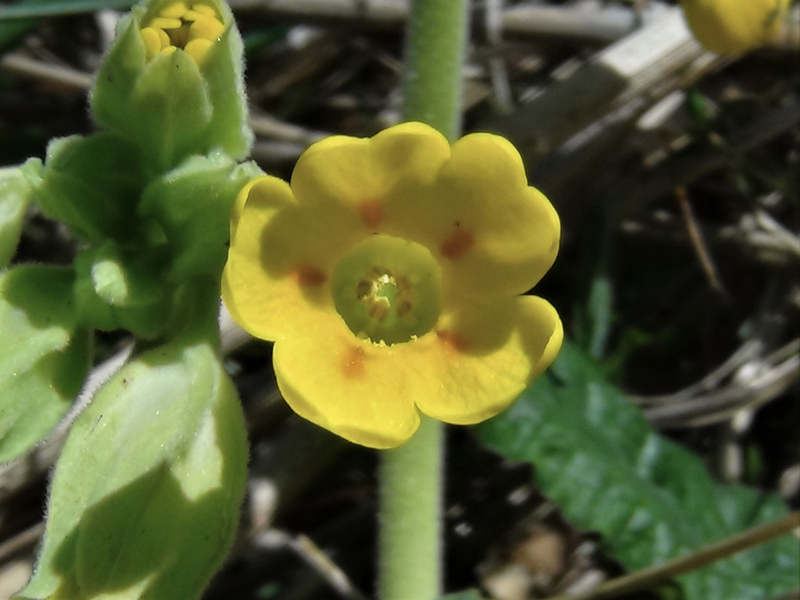 Bright yellow, with five petals. 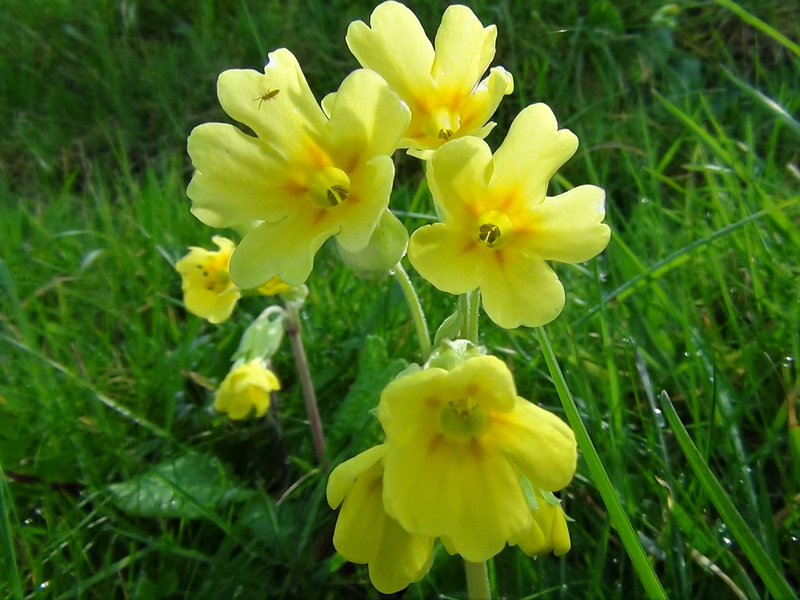 Deeply trumpet shaped. 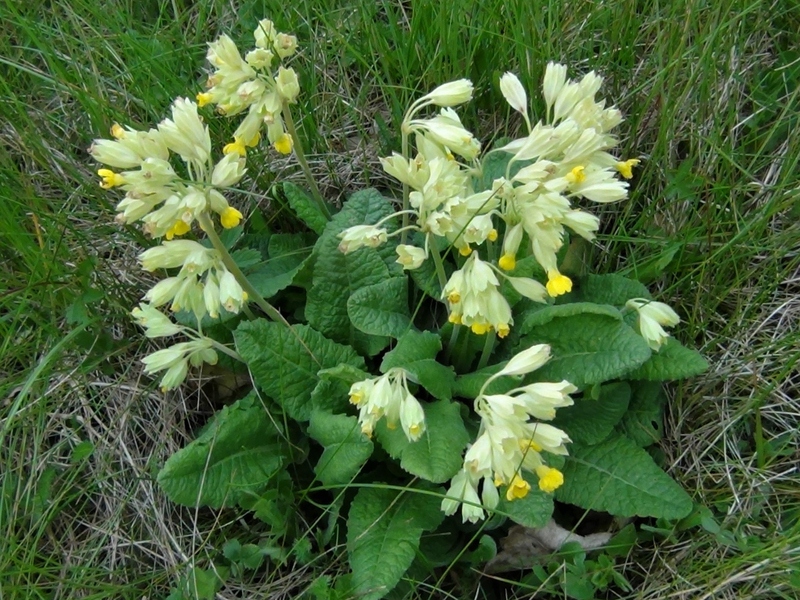 Flowering from April to June. 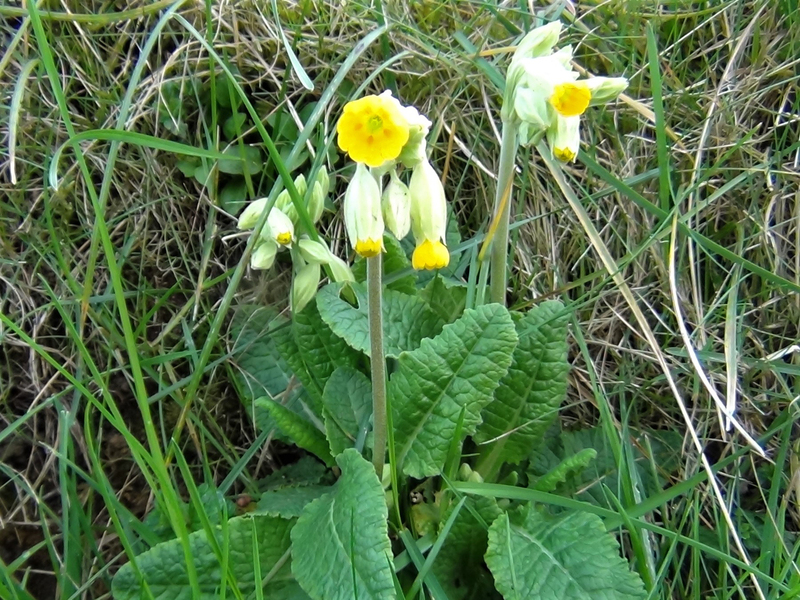 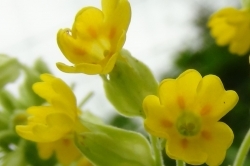 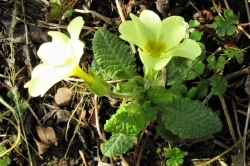 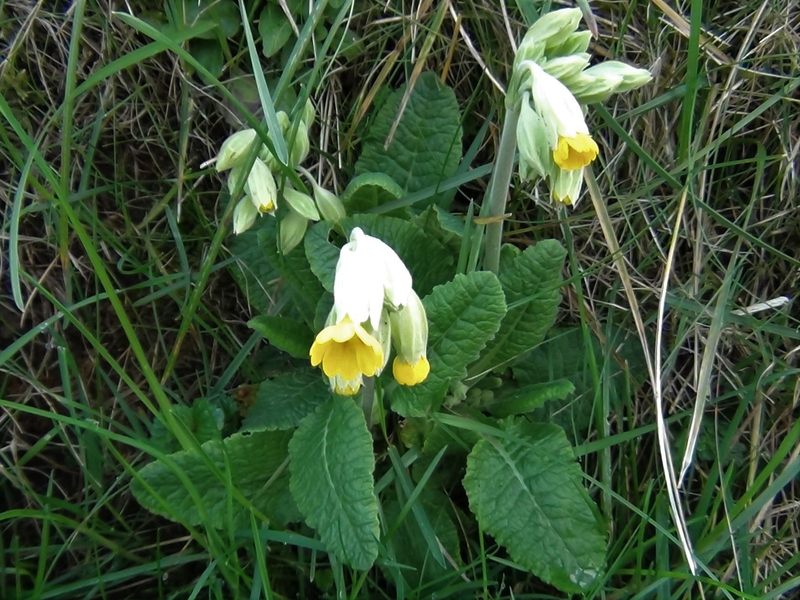 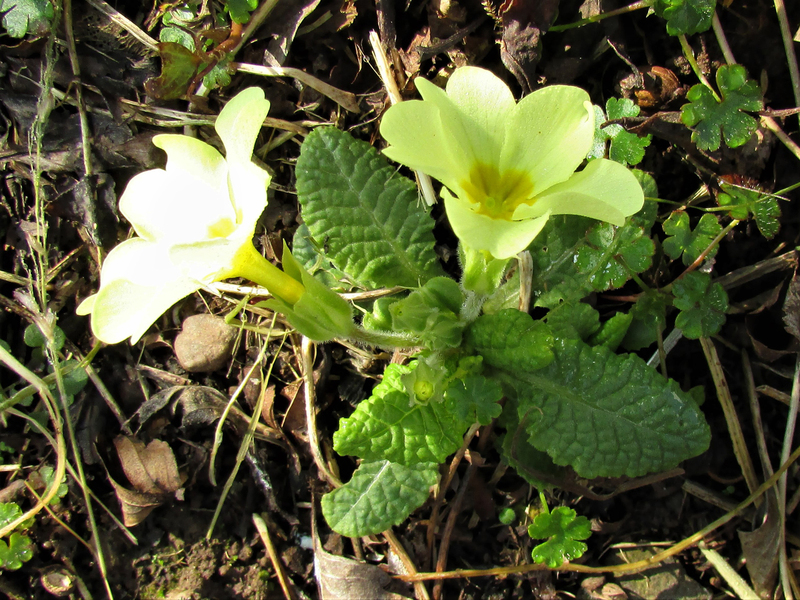 Unlike the Primrose, Cowslips have many flowers on one stem, the Primrose has only one flower per stem. 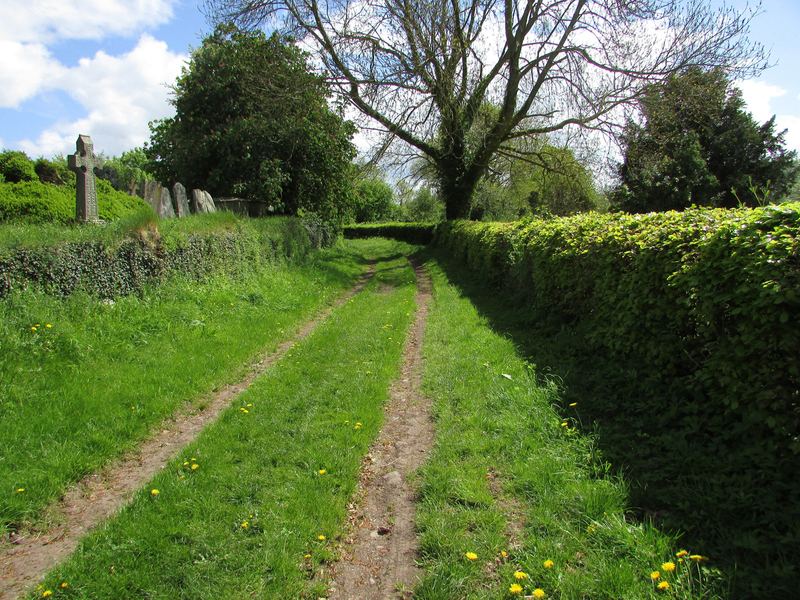 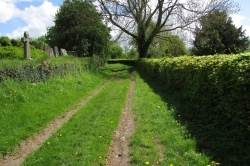 Grassy areas, meadows, parks, banks, path sides and flowerbeds. 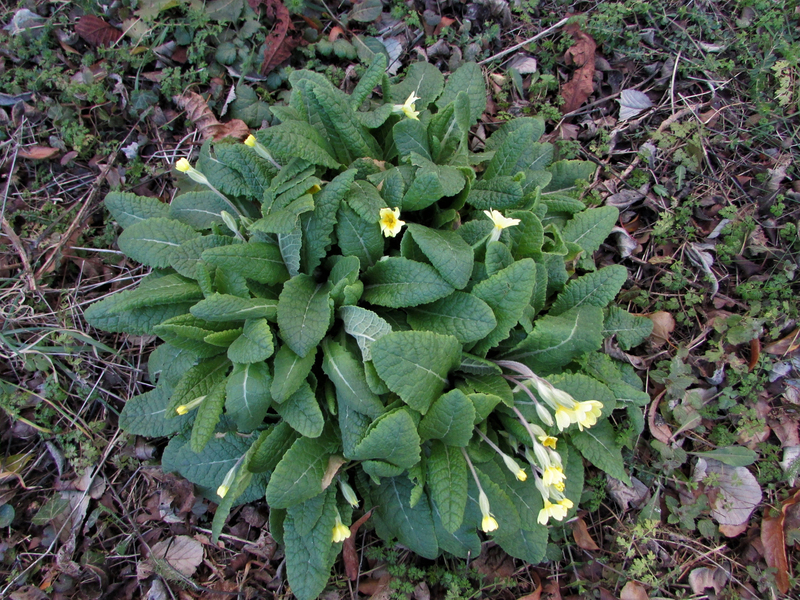 The Primrose, pictured, or other primulas until they flower. 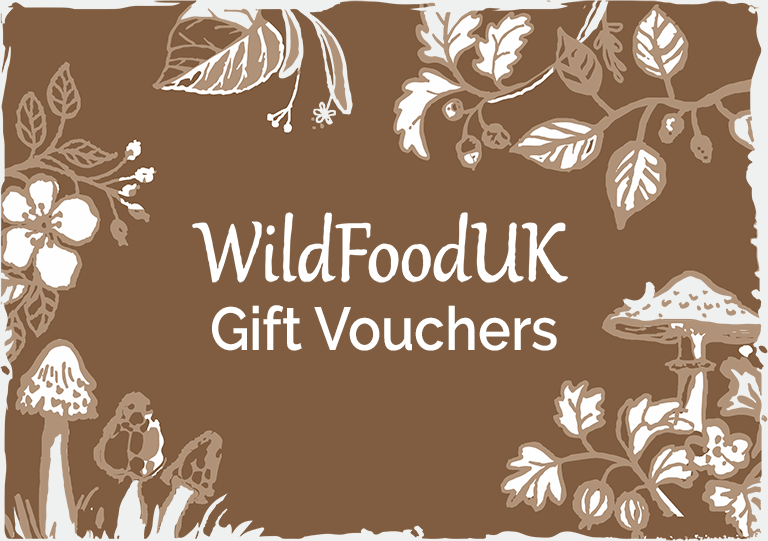 The flowers have a slightly citrus taste and look great in salads. 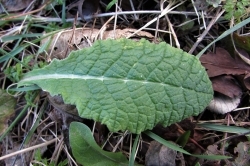 The leaves are slightly bitter but covered in dressing make a good salad ingredient. 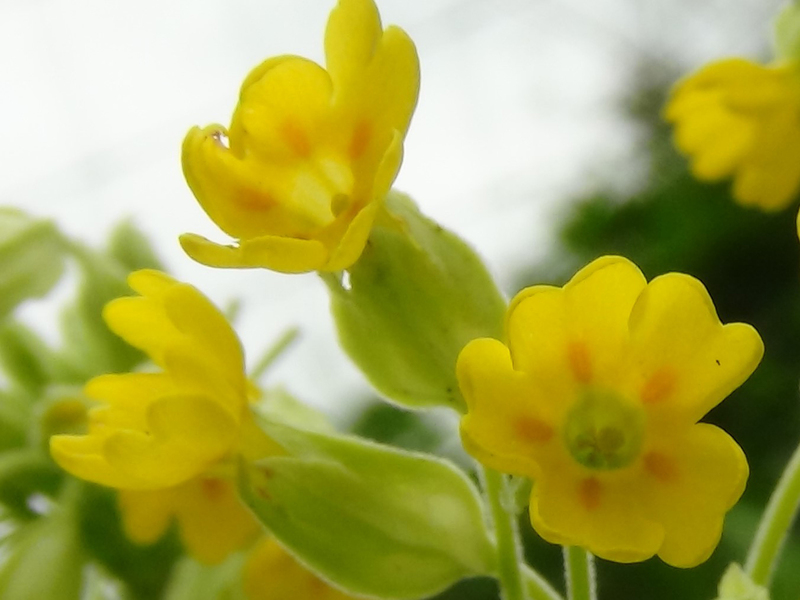 Never take all the flowers, leave some to do their thing.